Storage is key, especially in a small space. It’s important to know how to style storage furniture, like consoles, buffets, sofa tables, etc., so they don’t stick out like a sore thumb. Here are a few different types of storage furniture that you can easily incorporate into your space without disrupting the flow of your personal style. 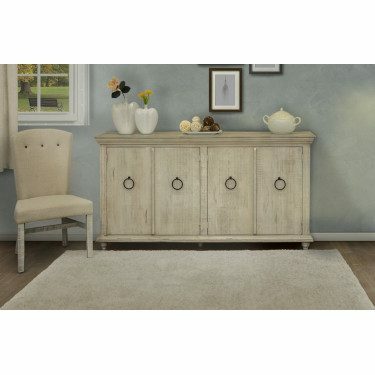 Console Cabinets come in all shapes and sizes. 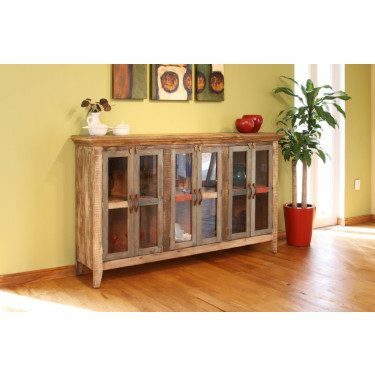 Depending on their style, they can be placed in the living room or entry way. If you have an open living room with a sofa floating in the middle, you can place a console behind the sofa. This way, you can display table lamps on the console to illuminate the seating area. It’s also the best place to store throw blankets, books, or picture frames. Shop PUEBLO WHITE BUFFET Now! 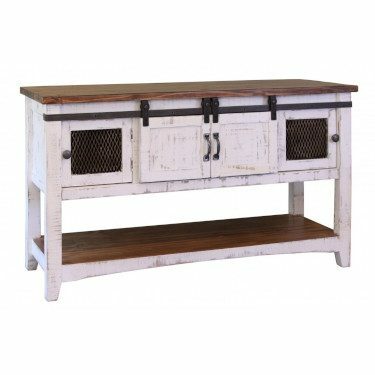 A buffet or sideboard is ideal for a large dining area because you can store your dinnerware, table linen, or glassware in the buffet. You can place the buffet behind the dining table and use the surface to display food when you’re having a party. 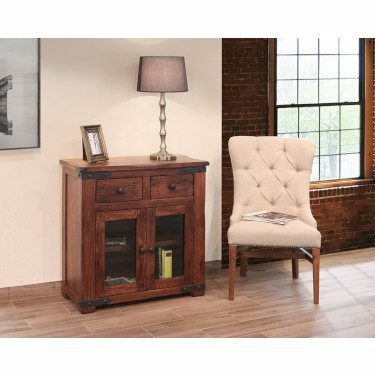 If it’s a small server, you can store it in a corner by an accent chair to create your own cozy reading nook. Display a reading lamp on top and your books inside. 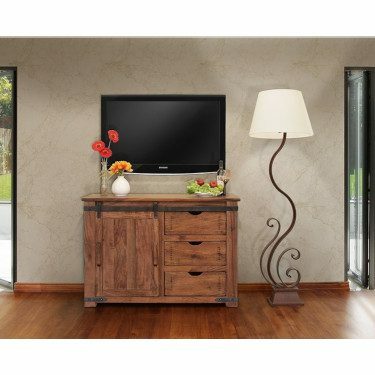 Shop PAROTA TV STAND Now! TV Stands are best at hiding all your media gadgets. Make sure there are holes on the back of the TV console so you can easily hide those pesky wires. 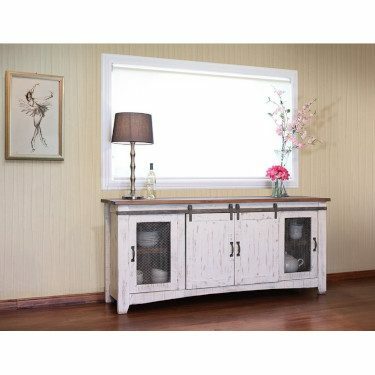 Shop PUEBLO WHITE SOFA TABLE Now! Typically, a sofa table doesn’t have as much storage as a console, but it’s the best if you’re looking for something less bulky and are only looking to store a few smaller items. Place the sofa table behind the sofa and display a lamp or two on top for intimate, mood lighting.